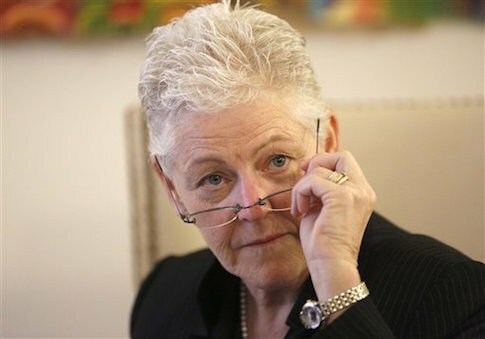 Republican members of the House Committee on Science, Space and Technology wrote to Environmental Protection Agency administrator Gina McCarthy and called her testimony at a hearing in July "false and misleading." On July 9, McCarthy testified to the House Committee on the transparency of the EPA’s regulatory agenda. Members of the committee asked McCarthy about the "secret science" that goes in to justifying EPA regulations because they want to ensure the data is available to the American people. Rep. Frank Lucas (R., Okla.) asked McCarthy whether the agency had made data that was used to craft the Waters of the United States (WOTUS) rule public. While McCarthy said that the information was "available," the Committee maintains that EPA did not provide any scientific or legal justification for the figures Lucas asked for. "Your statement that the information and data requested in Mr. Lucas’ question was publicly available in the EPA docket was false and misleading," the committee wrote. "Based on the Corps’ memorandum, it is apparent that the figures outlined in EPA’s final WOTUS rule were completely arbitrary and not based on any science." The letter cites three more examples during questioning at this particular hearing where the Committee deemed McCarthy’s statements either false or misleading. It was at this same hearing that McCarthy said she did not know the percentage of CO2 in the atmosphere, information fundamental to EPA’s regulations. "Providing false or misleading testimony to Congress is a serious matter," the committee wrote. "Witnesses who purposely give false or misleading testimony during a congressional hearing may be subject to criminal liability." "With that in mind, we write to request that you correct the record and to implore you to be truthful with the American public about matters related to EPA’s regulatory agenda going forward." Members who wrote and signed the letter to McCarthy include Rep. Lamar Smith (R., Texas), Rep. Frank Lucas (R., Okla.), Rep. Randy Hultgren (R., Ill.), Rep. Bill Posey (R., Fla.), Rep. Jim Bridenstine (R., Okla.), Rep. Randy Weber (R., Texas), Rep. Bill Johnson (R., Ohio), Rep. John Moolenaar (R., Mich.), Rep. Steve Knight (R., Calif.), Rep. Bruce Westerman (R. Ark. ), Rep. Gary Palmer (R., Ala.), Rep. Barry Loudermilk (R., Ga.), and Rep. Ralph Lee Abraham (R., La.). "We will review and respond to the letter," said Liz Purchia, deputy associate administrator at the EPA. This entry was posted in Issues and tagged EPA, Gina McCarthy. Bookmark the permalink.